So this was actually my very first build! 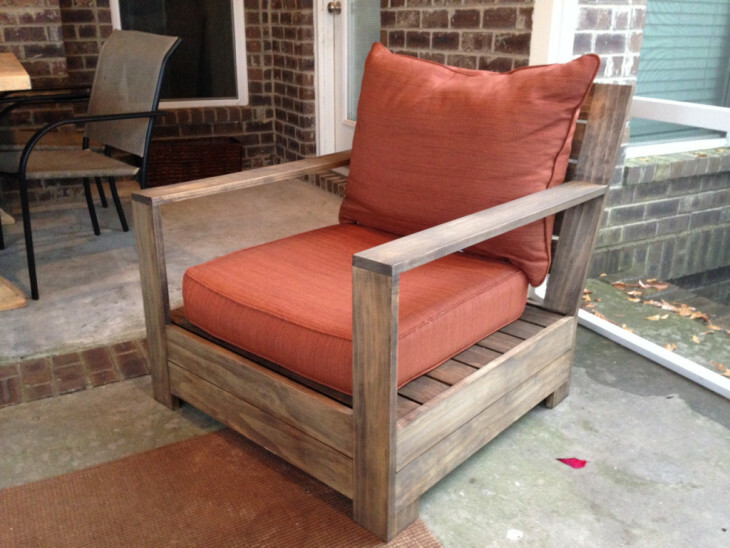 I used the plans for Ana White’s Bristol Lounge Chair with a slight tweak. For the wood I used select pine from Home Depot and the Hampton Bay cushions however I did not see the Martha Stewart cushions which look like they could work better.